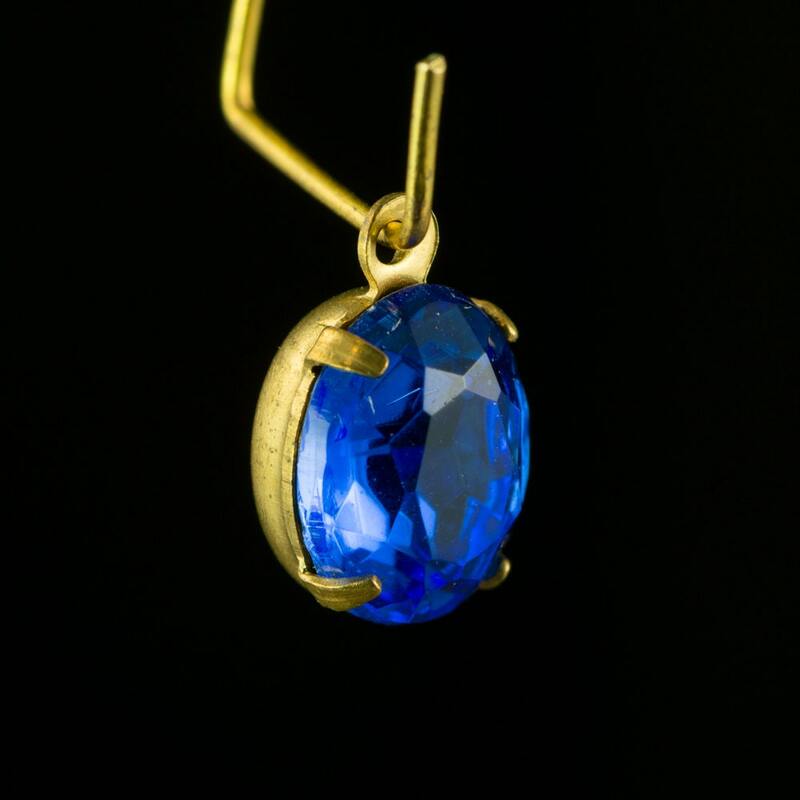 These are faceted glass stones done in a sapphire blue color. These are set in a one loop brass setting. The stones measure 10x8mm. You will receive 4 of these. Thank you very much. Very nice stones.